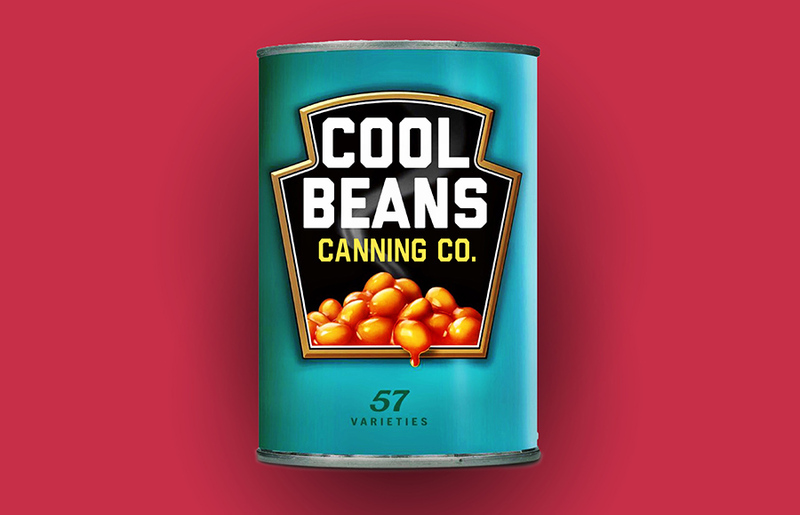 Cool Beans Canning Co. is a ficticious name of a real customer. Cool Beans Canning Co. is a large consumer canned beans food company producing high-quality products in their Minnesota facility. Their product range encompasses nearly all varieties of popular beans such as lima, black, navy, red, kidney, and garbanzo. Cool Bean's largest competitors are other large national and private label brands; and despite a competitive business environment they have enjoyed increasing consumer demand for their products. By mid-2017, they opened a new 589,000 square foot facility to keep up with production needs. For Cool Beans, one of the most important operations is the unloading and storage system for the dry beans when they arrive to the facility. 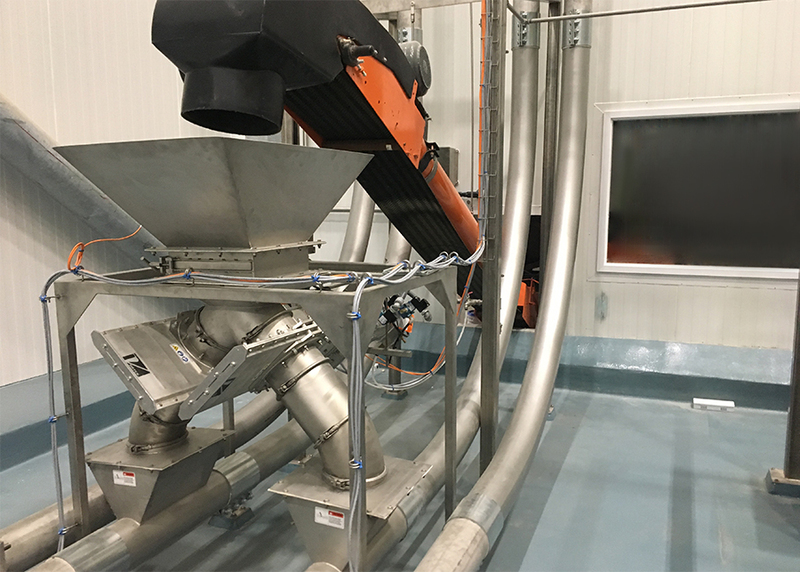 They needed a conveyor system that could handle product bulk densities of 50 pounds per cubic foot and move dry beans at a rate of 70,000 pounds per hour. Plant managers wanted 12 storage silos, each with enough capacity for about one and a half truckloads of dry beans. 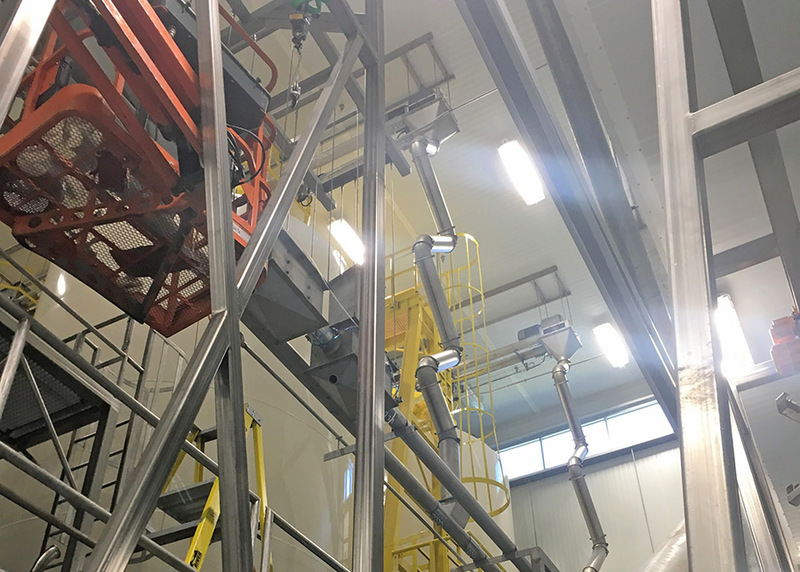 Then transport the beans from the silos to an array of hydration and canning process systems. A high-capacity tubular belt conveyor feeds into two truck unloading conveyors through a hopper and slide gate. Note the use of low-breakage inlets into the Chain-Veys, ensuring a near 100% pocket fill without risk of damaging the beans. 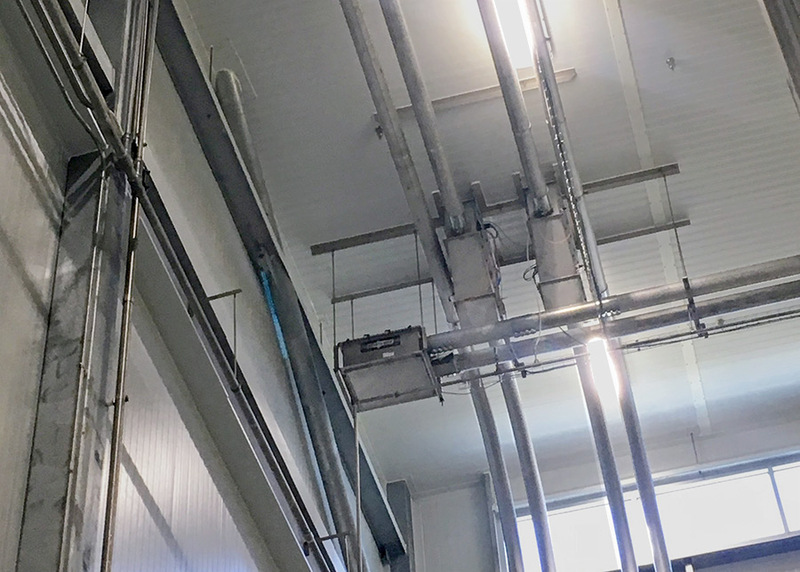 The two truck unloading conveyors run 45 feet upward to the ceiling of the facility. 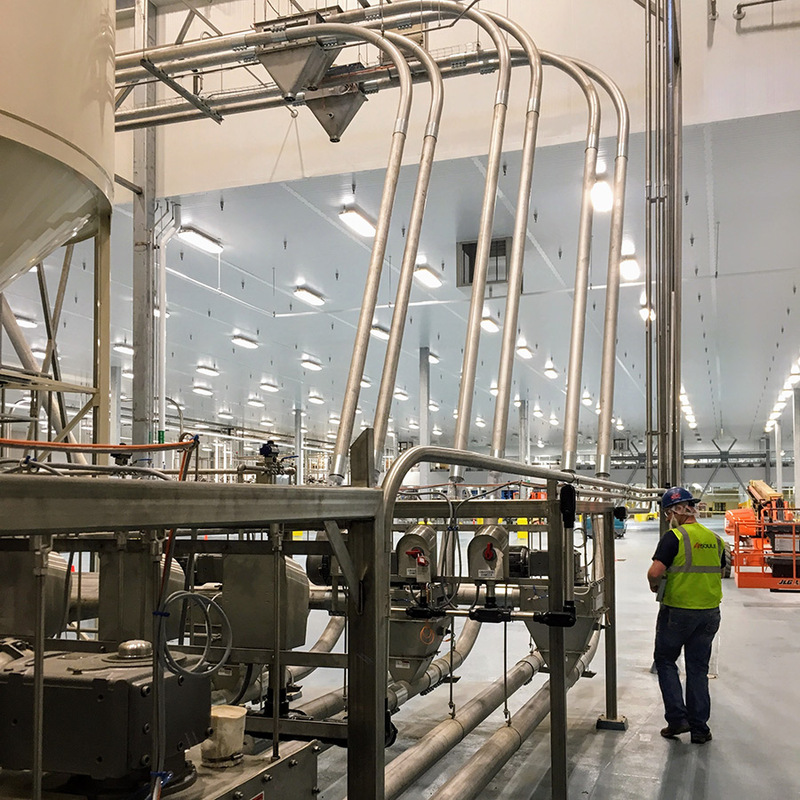 With the heavy bulk density of the beans and high vertical, the tubular drag conveyor design was by far the most economical and reliable conveyance method during pre-planning for the facility. Read more on how Chain-Vey tubular conveyors compare to other systems. 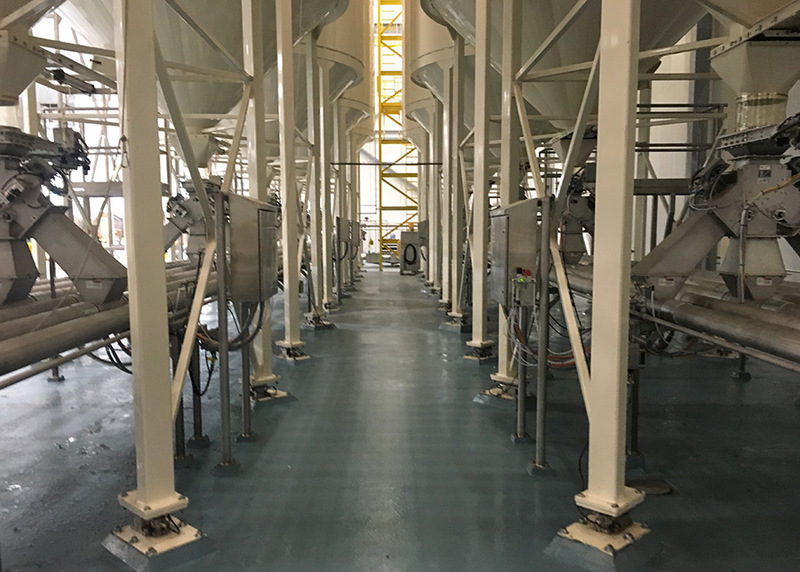 The two silo loading conveyors that run above the silos have rotating discharge tubes that gently release into each silo at the operator's choosing. A let down system at the turnaround unit empties beans into bulk bags if operators want to bypass silo storage. At the bottom of each silo is a three way diverter valve that directs the flow of beans to any of three silo unloading conveyor. The blancher loading conveyors piggyback off the silo unloading conveyors and transport the beans upward to begin the blanching process.